After we sampled the full set of Glenfarclas minis – the 105, 21 year and 25 year – we revisited the 15 year. What did we find? Nice and straightforward. No surprises and no pretence. What you see is what you get. And there is nothing wrong with that. 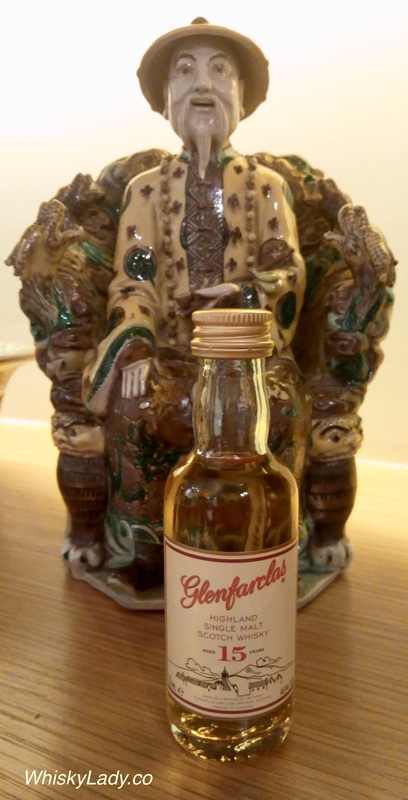 And what did the folks over at Glenfarclas have to say? Colour – A rich golden amber. Nose – Complex, sherried, light butterscotch aromas, with a hint of dried fruit. Flavour – Full bodied with a superb balance of sherried sweetness and malty tones. Finish – Long lasting, gloriously sherried, sweet and distinguished. We sampled this whisky in Oct 2017 from a closed bottle purchased from The Whisky Exchange in London as part of a gift pack for approx $50. What all did we sample in our Glenfarclas minis session? 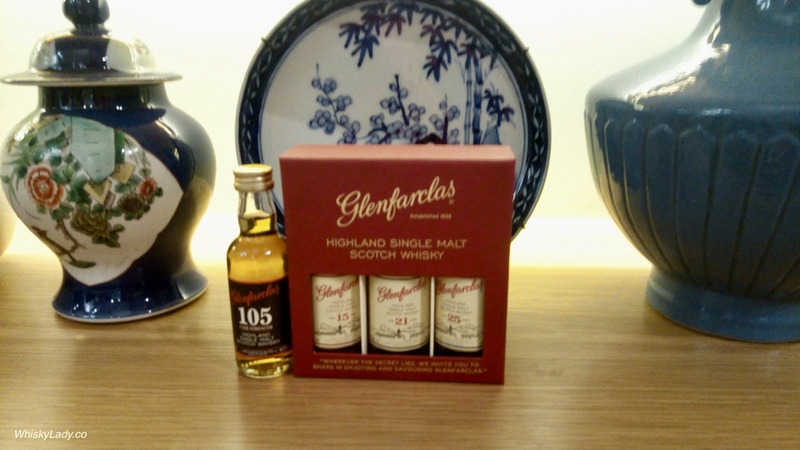 This entry was posted in Scotland, Speyside and tagged Glenfarclas, Glenfarclas 15 year, Miniatures by Carissa Hickling. Bookmark the permalink.